This beautiful and delicate little white flower, which grows in small bunches, is in full bloom in Hampton Park now. The individual flowers remind me of miniature roses. 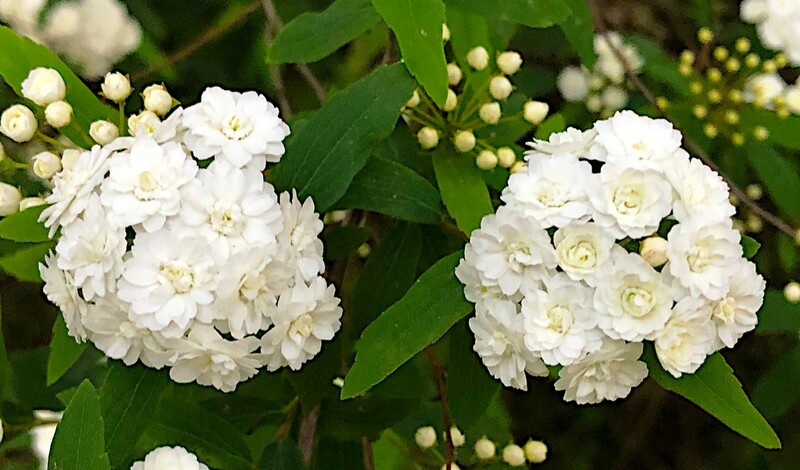 I love bridal wreath - your shots of it are beautiful. There is one bush along the way I walk each morning - I've been checking it lately, but the icy temperatures have stalled everything here. Oh, they do look like roses. Gorgeous. Is this what we would call double May? It does look lovely up close like this. Beautiful posies of blooms ! Fav. Fantastic capture and flowers. These flower clusters are beautiful!